Far from the bright lights and mega-funding provided by corporations, individuals around the world are working to find ways to improve mileage for cars and trucks. 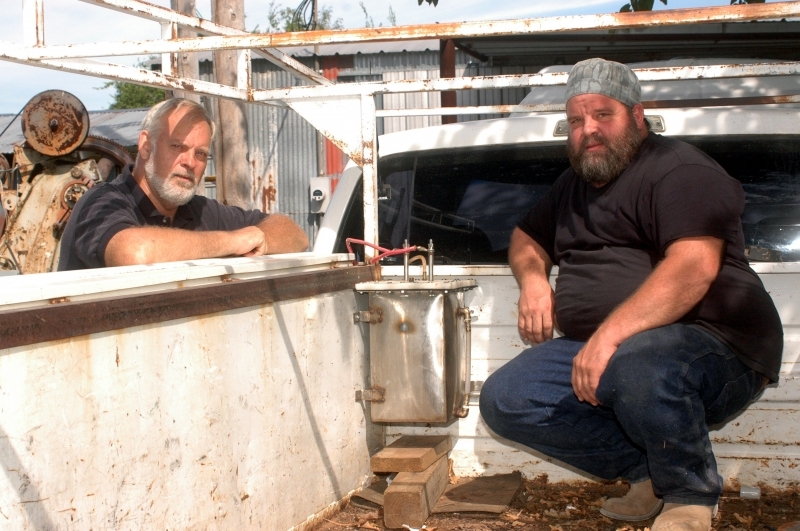 Among the trees and rolling pasture land of East Texas, between Grand Saline and Mineola, two men are working in their spare time on a project they say has improved the mileage of a 1998 model diesel truck from getting 14 miles per gallon to 26.3 mpg. Clifton McCaleb and Mitchell White are an interesting twosome. McCaleb dropped out of high school and ended up in Viet Nam. Along the way he picked up diesel mechanic's training in the Coast Guard, and when he got out of the Coast Guard he went to Junior College for a time, then to a trade school where he learned to weld. 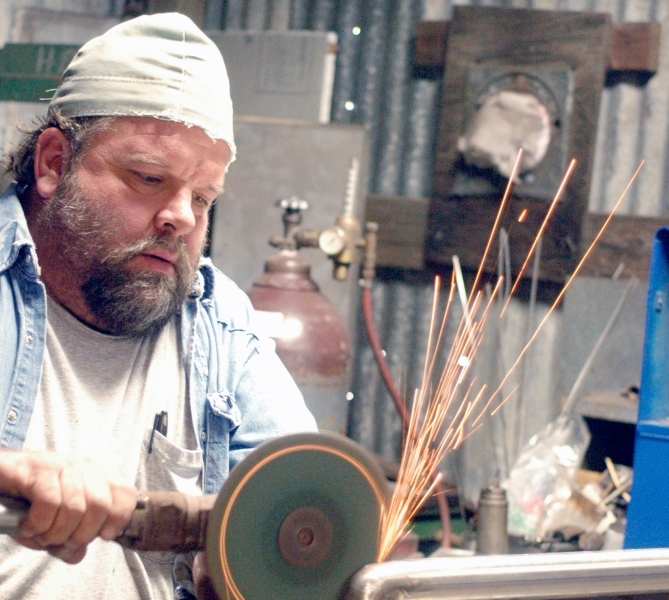 He loves to "tinker" mechanically and in 2000 he built his own drilling rig to drill for water. He says it was built entirely from scrap metal... and it worked. He and White met during that period and their common interest in tinkering with things was a perfect fit. McCaleb "was looking at the idea" of somehow producing hydrogen economically to be combined with diesel and White had a sheet metal shop business. It seems to have worked for both of them. Between the two of them, they said they tried several pieces of equipment they found on the Internet but very little worked for them, and when it did, it didn't last. So they set out to work with the material White is comfortable with, stainless steel. "We scrapped everything but the theory," of how to build a hydrogen generator, White said. They said they built four prototypes before they arrived at the one they are now working with. Their biggest problem, they agree, is that they both have jobs they work at, so working on their project is a part time career at this point. They have a problem beyond not having unlimited funds. Neither is an electrical engineer and until recently they had a problem with overheating. But that, White said, has recently been solved. Basically it works like this. 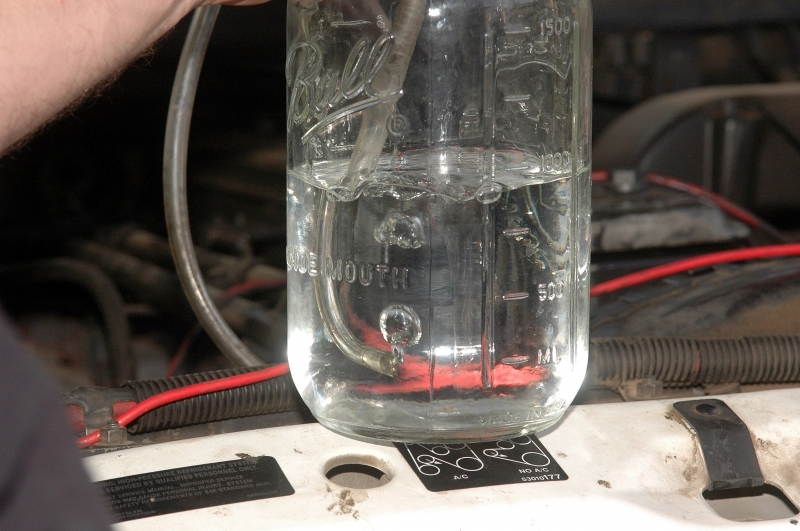 Using a form of electrolysis they separate hydrogen from water and move the hydrogen through a tube from the steel container filled with water to where they combine the hydrogen with the diesel fuel before it is introduced into the engine. To demonstrate they disconnected the tube and placed it in a canning jar filled with water. As the engine starts a few bubbles of hydrogen start to slowly form and as the engine speed increases so does the volume of bubbles, until there is a continuous stream of bubbles from the tube fighting their way to the surface of the water. It's still a work in progress. They haven't been able to improve the mileage figure beyond the 26.3 even though they have tried. But they hope their dream will continue to evolve. Each believes they can create a hydrogen generator that will help large diesel trucks to improve their efficiency dramatically and some day they hope they can overcome other problems to help improve the mileage of gas-driven vehicles too. "The truck we have it on runs like a charm," White said. He went on to say there is a positive side affect to the process. The diesel burns hotter and cleaner, he said and because of that the oil isn't fouled as quickly, which should save money on oil and at the same time extend the life of the engine. 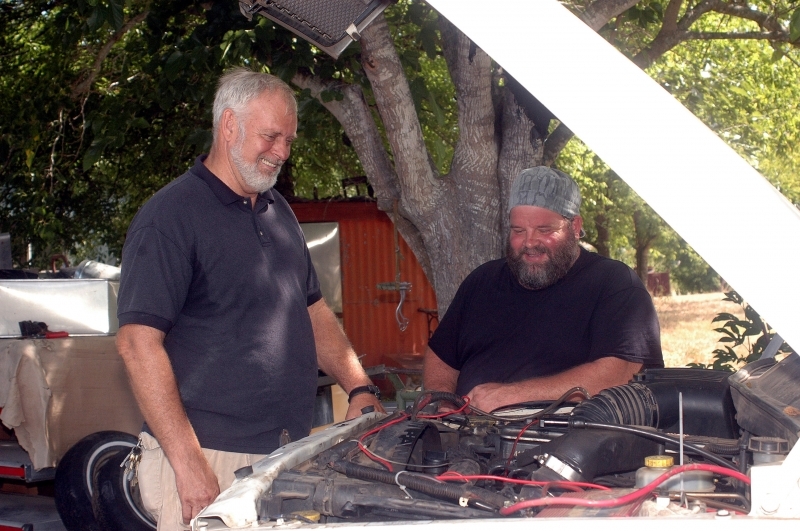 As we close this chapter of the project White is confident the two of them can improve the mileage beyond 26.3 miles per gallon with some electrical adjustments. Stay tuned. We will update this periodically as changes develop.